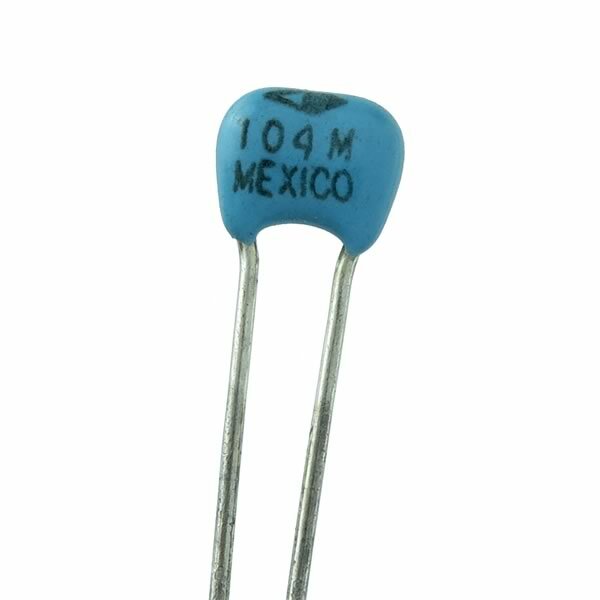 0.1uF 50V mono capacitor. Size is approximately 0.19" wide x 0.15" tall x 0.1" deep. Has extra long (1.7") leads and 0.10" spacing. 20% tolerance. Z5U dielectric. Part# K104M20Z5UFVBWN. Sold in a package of 50.